Melbourne’s Best Amazing Races are exciting outdoor events designed as team building activities, corporate group events and social group parties. Enjoy FREE offers with Bushsports; leaders in URBAN adventure races. Complete the enquiry form for a Free Melbourne team building quote or have Bushsports team design a customised Melbourne’s Best Amazing Race! Bushsports Adventure Allways in Melbourne! Bushsports provides Melbourne’s Best Christmas Amazing Races! Integrate Team Communication Skills, Strategic Planning and Problem Solving team building activities in a Race Against the Melbourne Flinders Street Station Clock! Bushsports Melbourne’s Best Amazing Races capture the spirit and imagination of teams, being engaged, providing exciting, diverse and fun team events! Accomplish Amazing Race team building and social group challenges, improving team performance whilst exploring Melbourne CBD or heading out to Yarra Valley, St Kilda or Macedon Ranges. Bushsports achieves excellent team building and team development results for corporate events, corporate groups, incentive groups and social group celebrations. Experience Melbourne on a different level. 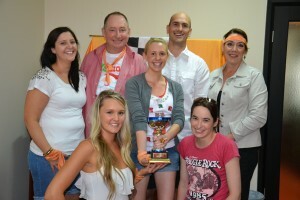 Voted the world’s most liveable city, in a fun Amazing Race event that will motivate and inspire your team. The City of Melbourne has 15 distinct precincts exhibiting unique character, recognisable identities, intrigue, excitement and atmosphere. From Federation Square to Yarra River, Victoria Markets and MCG. 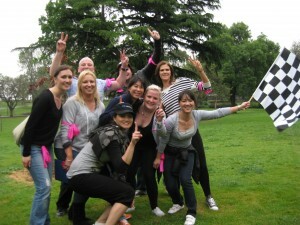 Melbourne’s Best Amazing Races will invigorate, uplift team morale and ignite your next Melbourne team building event. Amazing Race Event Experience counts! Bushsports have conducted exceptional Amazing Races in Melbourne for more than 9 years. Proven and endorsed by Business Franchise Group, Ernst & Young, NAB, LWA, Perpetual, Chubb, AOC, Upstream Print Solutions and Macquarie Bank. 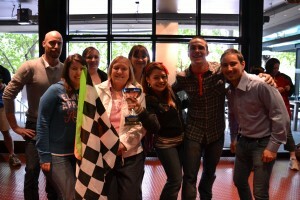 Example Amazing Race formats in Melbourne – Brilliant Team Building Activities. Spencer Street Railed for time, teams navigate to pick up extra Melbourne check point amazing race clues. Yarra River South Bank of the Yarra uncover Melbourne Arts. For a different perspective jump on-board a water Taxi, gondola, cruise boat or canoe to cross the Yarra. Imagine abseiling off the lighting towers!! Melbourne Observation Deck Amazing Race Eye Spy. Melbourne Gaol Escape Convict Cuffs, Recite Poetry, Uncover Melbourne History. Cycle to next Amazing Race location on Melbourne Bike Share. Pole Dancing Numerous Amazing Race Activity Options to select from.From Easy to High Level fun physical team building challenges. Melbourne’s Best Amazing Races features Iconic Tasks from the hit Television Show! Yield; a team strategically delays another team for a set interval at Melbourne’s Best Amazing Race Checkpoints. Intersection; Teams depart on score order after completion of Melbourne’s Best Amazing Race tasks. Pitstop; Provides a rest stop or the final location on a Fun Amazing Race in Melbourne. Fast Forward; Teams can move through Melbourne’s Best Amazing Races checkpoint immediately. Flemington Racecourse for a team flutter, visit Luna Park – Just for team FUN! Great Ocean Road Amazing Race at Lorn from The Mantra or Cumberland Hotel for excellent team development and conference packaged team building. Explore the Macedon Ranges on an Amazing Race event including Hanging Rock and tasting sensational Victorian and Highland Wines. Get the adrenalin pumping at Sandown racing and many more iconic Melbourne & Victorian Amazing Race destinations. Melbourne Team Building Activities Inspiration – Melbourne’s Great Amazing Race Poem. From Docklands round a Crown to the heart of Chloe in town. Rolling through Federation Square the G’eee was tasteful in gourmet and fare. A short climb from Rod Laver was rewarded in history, spellbound with mystery. Stopping to smell the roses and gain appreciation of what makes Melbourne tick!!!! Exploring the side streets observing fashionistas and tasting baristas delights. Coasting by Lygon in areas rejuvenating the by-gone. Tempted with Italian sweets that were a treat. A splash of Melbournites diversity, culture, punt-uated with local knowledge. Bratwurst or Berkos ahhh the grandueur and splendour of Victoria Markets. Corporate Groups, Businesses, Social Groups and all abilities. No special skills, athletic ability or previous experience required! 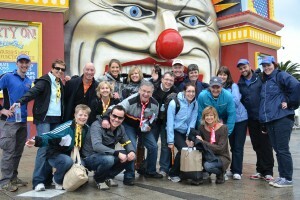 Melbourne Amazing Race content is customised to suit your teams requirements. Incorporate your company’s mission and values, and integrate your core business ideals. Suitable for groups of 10 to 1000 people. A minimum of 2 hour hours, however ideally 3-4 hours including a briefing and the presentation of the Melbourne’s Best Amazing Race trophy and awards. Select an Amazing Race Team Development or Social Group Activity and Take Advantage of FREE Offers. Melbourne’s Best Amazing Race by Bushsports are designed to meet all your team building outcomes across all locations in Melbourne. Skills necessary to create stronger bonds within your team. With a host of Melbourne activities designed to uplift your group, this amazing race is perfect for conferences, outdoor activities and team development in or around the Melbourne area. 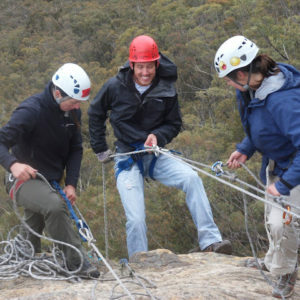 For Melbourne’s best team building activities complete the Bushsports enquiry page. 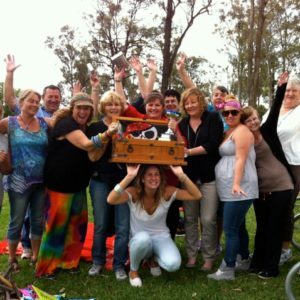 Motivate your employees next off site with professional Melbourne team building events. Melbourne fun activities, amazing races from checkpoint to checkpoint in Melbourne. 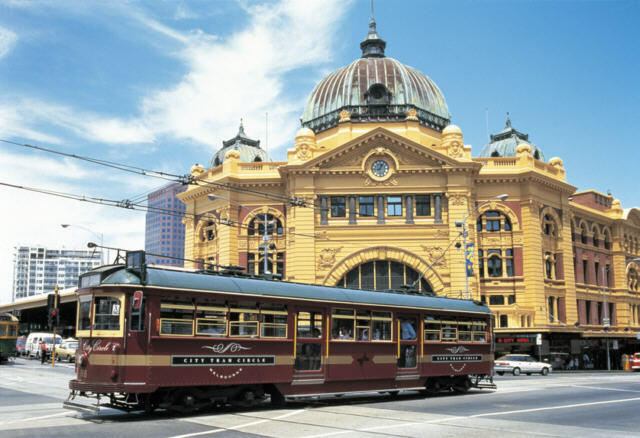 Kick off Melbourne events with an amazing race through Melbourne. Great races around Docklands. 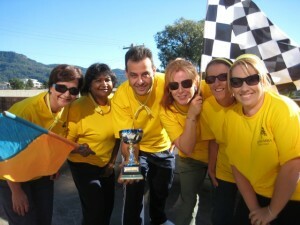 Fun team and corporate group activities. Be inspired with uplifting fun events and activities. Break out from Melbourne conferences to Crown Casino, amazing race up to Eureka Skydeck. Race around Federation square completing team building activities. Get your colleagues to cheer on your teams whilst abseiling off Melbourne buildings. Melbourne’s Best Amazing Race by Bushsports reveals the adventure side of all good fun activities available for groups in Melbourne. Contact Bushsports for fresh and exciting team building activities in Melbourne. Bringing together teams with vibrant, energetic and fun outdoor team building activities and Melbourne team development programs with amazing race team building ideas and the best corporate team activities that you can experience in Melbourne.